Chinese composer Dr. Xinyan Li has been acclaimed as "a formidable composer" and "a rare and very special talent". Her music has been featured at Aspen Music Festival, Sveriges Radio (Sweden), National Center for the Performing Arts (China), 44th and 45th International Double Reed Society Conference (Japan and U.S.), The 13th Thailand International Composition Festival (Thailand), The 89th Music Mountain Festival, LunArt Festival, Composers Now Festival, 19th Nordic International Bassoon Symposium (Norway), Septembre musical de l'Orne (France), Carnegie Hall, Gamle Logen (Norway), Beijing Modern Music Festival (China), The Music of Now Marathon at Symphony Space, Seal Bay Festival, Shanghai Oriental Art Center (China), 5ème concours international de musique de chambre-Lyon (France), The 11th Annual International Chamber Music Festival (China), Clarinet Symposium at the University of Maryland, Nevada Encounters of New Music, Skirball Center for the Performing Arts, Shanghai Symphony Orchestra Hall (China) and SCI National Conference etc. Dr. Li's music were performed by American Composers Orchestra, Members of Eighth Blackbird, PRISM Quartet, Cassatt String Quartet, Bergen Woodwind Quintet, Music From China, Principal musicians of Philadelphia, Detroit, Baltimore, St. Louis, Montreal, Bergen Orchestras and Orchestre National de France, Quintet of the Americas, Lieurance Woodwind Quintet, bassoonists Per Hannevold, Jeffrey Lyman, Quintette K, Shanghai Symphony Orchestra Principal Woodwind Quintet, Donald Sinta Saxophone Quartet, UW-Madison Contemporary Ensemble, AACA Orchestra, UMKC Orchestra, among others. Dr. Xinyan Li has been invited as the visiting composer by Aspen Music Festival in 2007 and 2015, where her woodwind quintet Mo Suo's Burial Ceremony and sextet Mongolian Impressions were performed. Her awards and honors include American Composers Orchestra Underwood New Music Readings, ASCAP Morton Gould Young Composer Award, IDRS Conference Schwob Prize in Composition, LunArt Festival Call for Scores, Tsang-Houei Hsu International Music Composition Award, 2016 Beijing Modern Music Festival China-U.S. Composers Project Certificate of Excellence, TEMPO New Music Ensemble Call for Scores, and grant from National Endowment for the Arts as well as New York State Council on the Arts grant for individual artist. Dr. Xinyan Li received her Doctoral degree in Composition at University of Missouri-Kansas City where she studied with professors Chen Yi, James Mobberley, Zhou Long and Paul Rudy. 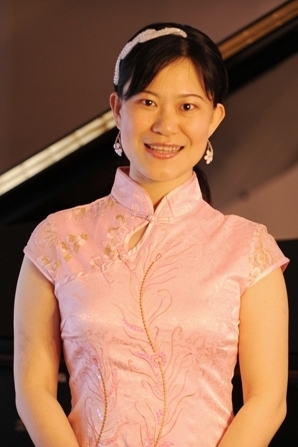 She earned her Bachelor's and Master's degrees in Composition and Music Theory at the China Conservatory of Music in Beijing where she studied with professors Jin Xiang and Yang Tongba. Dr. Li has taught composition and music theory at the China Conservatory of Music, New York Philharmonic Orchestra's Very Young Composers Program and University of Missouri-Kansas City. She has given lectures at Grieg Academy in Bergen University in Norway, and Adelphi University in New York. Copyright 2009-2019 by Xinyan Li. All rights reserved.